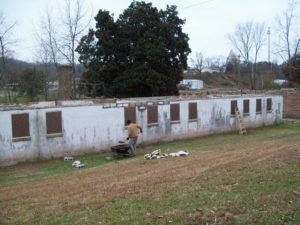 Progress Update | Crossroads Ministry Inc. Welcome to Crossroads Ministry’s Update Page. 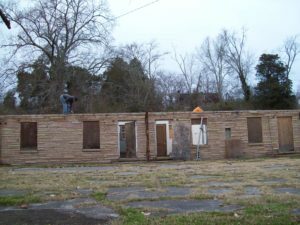 We will be doing a progress update on the renovation of ‘Crossroads Center of Hope’ so our guests can follow the work being done and what it entails to do a major restoration! Hope you enjoy our journey! 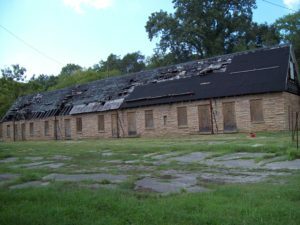 Ready to begin the roofing process in 2018…and with your help we can begin work on the other buildings! All cleaned up and lookin good! of re-cementing areas that fell and pouring cement above all doors and windows. At the end Jeremy went over the back wall and filled in every hole and crack so the area will be ready when we add the fiberglass impregnated stucco as a finish. 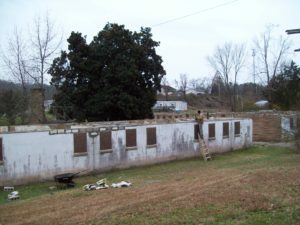 Work began on the wall stabilization! 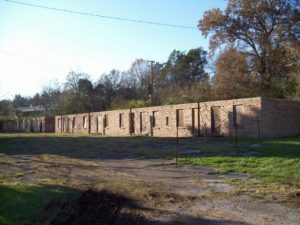 The men stood on the top and poured the cement down the cinderblock around the rebar. 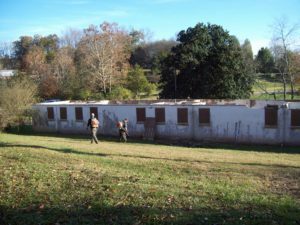 The Last Day of Cleanup and Ready to Begin the Next Step…………Stabilization of Cinderblock Walls! Last section removed and before cleanup. Final cleanup on back area. All in a weeks work! 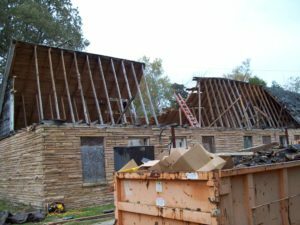 Lots of progress and ready for the removal of all roofing to be completed. 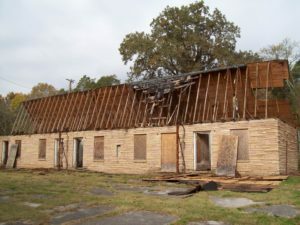 Middle section of the building ready to be removed. 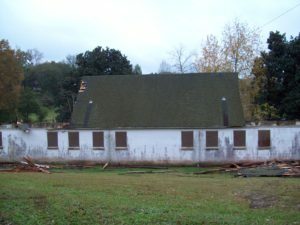 Shot from the side of the back building of the middle section to be removed . 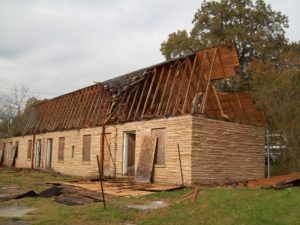 The middle section was the last part to be taken down. 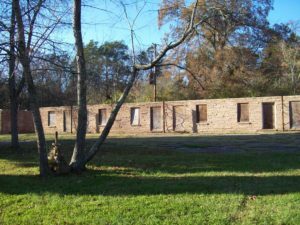 Back of the building. 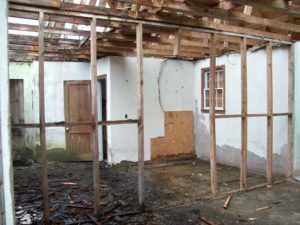 This was just one of the rooms in which the walkway and interior boards were removed so the men could begin taking down the actual roof structure. An amazing amount of work has been accomplished with only two men working. It was time consuming but well worth it because the building was left in tact. And having men who take the time to stabilize areas before working and cleaning up at the end of the day is such a blessing to Crossroads! 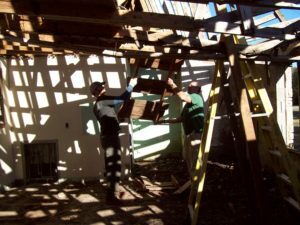 Taking out the rotten section to avoid its collapsing. 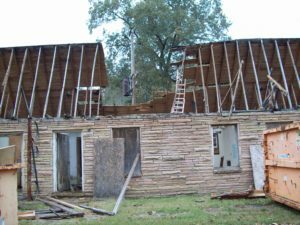 Front shot showing complete area. 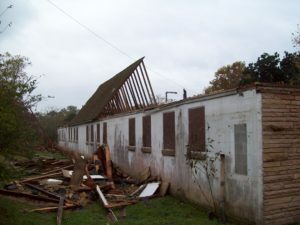 After all the rotten roofing was removed it showed a large area of trusses that had rotted! 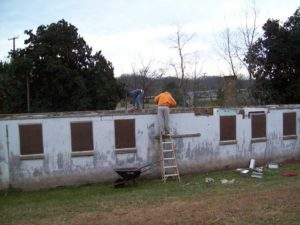 All old roofing material removed. 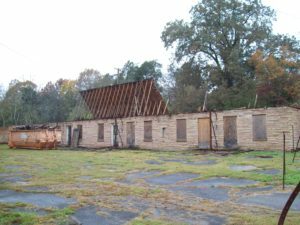 The first step was to remove the old trusses and roofing material on the front building….working on the front half with manpower labor only to avoid damaging the structure. 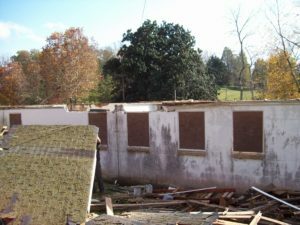 We are thankful to Jeremy Webb and his crew for their hearts to also help me cleanout the debris. 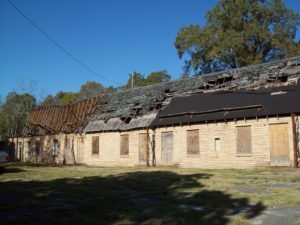 The first picture shows the building before work began. 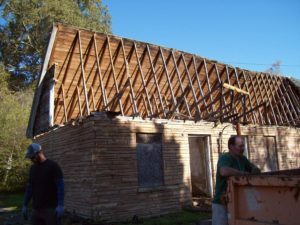 Taking off the front rotten half of the old roof. First days work! All rotten wood roofing gone! We also want to keep you informed on past Newsletters by adding a link to Mail Chimp so each of our newsletters can be read at your convenience.